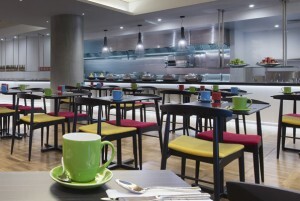 Rockingham mugs come in great colours including Red, Orange, Brown, Blue, Black, White, Green and Yellow and multiple cups sizes and styles, so there is a Rockingham product to suit everyone. 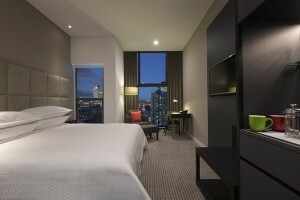 Rockingham was recently selected as part of the range to go into the newly developed Four Points by Sheraton Brisbane. Hospitality Products was involved in the entire fitout for the property and had great confidence including this exciting range for Brisbane’s newest hotel. 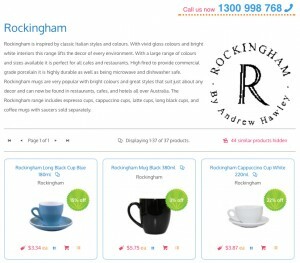 Check out our full range of Rockingham mugs and buy online with our secure checkout and delivery to anywhere in Australia. This stuff is really taking off. Was unavailable for a little while but booming again. Easily the most popular range on the market.